Before moving to Bulgaria I researched the climate. I have arthritis so it was important that I did not relocate to a country that was as cold and damp as Scotland, where my condition was deteriorating rapidly and I experienced pain all year round. I read that Bulgaria enjoys four distinct seasons, warm springs, hot summers, warm autumns and very cold winters. However, it is not generally damp. Rainfall tends to come in short bursts, cloud cover also. The winters might be freezing but are mostly crisp and clear with blue skies and sunshine following snowfalls. I decided that I could cope with three months of cold but relatively dry weather if it meant having very little rain all year round. Arriving in August 2009 I took some time to get familiar with the society before beginning my property search. I went to the Bansko jazz festival, a summer event in a winter ski resort in the Stara Planina mountains. Whilst there I met a ski instructor who had spent some years working in Aviemore, Scotland and spoke excellent English. We talked about the country, the people and the weather. He told me that when he was in his teens Bulgaria’s ski season lasted five months, from November through to the end of March. But in recent years the season had diminished to only three months and, as often as not, even that short period required the use of artificial snow to keep the slopes open. I returned to Sofia and then moved on to Veliko Turnovo to look for a suitable property for my arts project. 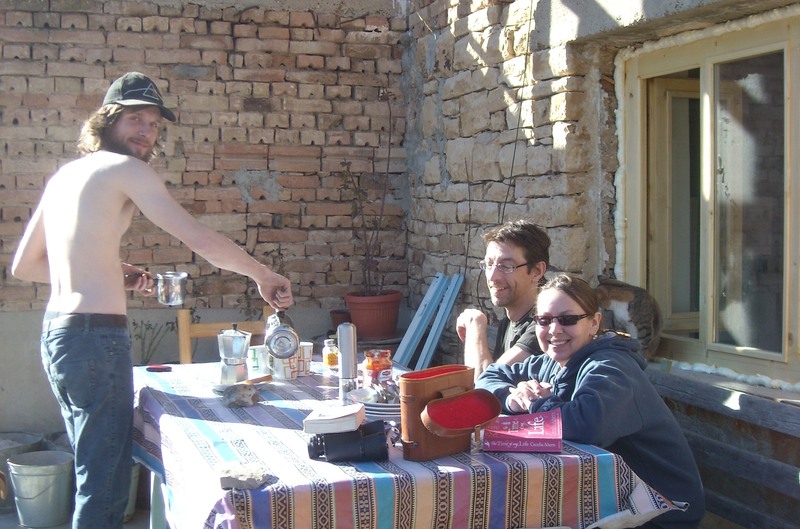 I found the ideal place in Ivancha, in the northern farming region, and moved into the house on 26 January 2010. The night I moved, it was -26c with the village under heavy snow and icicles hanging from the rooftops. During February there were more blizzards and the big thaw did not come until late March. Even so, I walked my dogs every day under clear, blue skies and felt nothing like the pain I suffered throughout the year in Scotland. 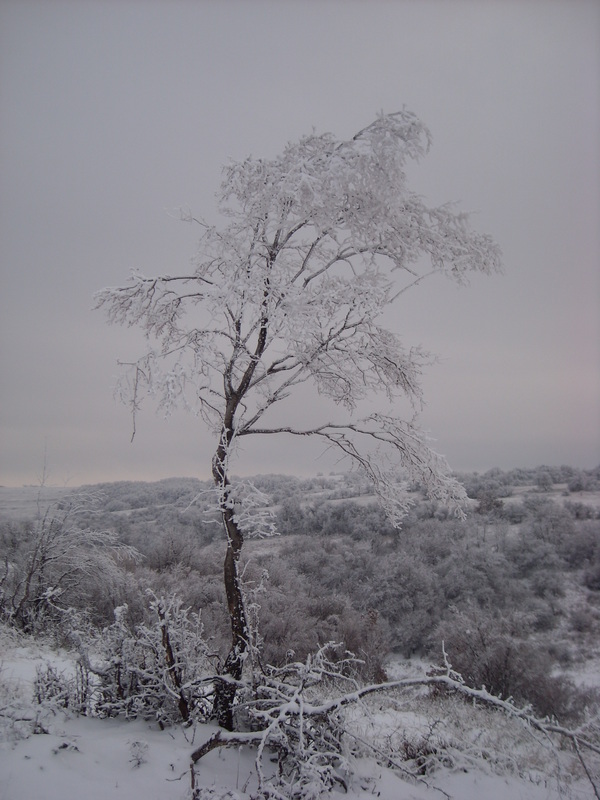 Winter 2010/11 was also brutally cold but short-lived, with the snows melting by mid-February. I had several volunteers staying with me and we were eating lunch outdoors by the end of that month, though we had a short, cold spell in March that killed off many fruit tree blossom, resulting in poor harvests. Indeed there were no apricots at all that Summer. 2011/12 brought the most extreme cold I have ever experienced. All of Europe suffered that winter with -40c temperatures and many deaths across the continent. Still, the snow was gone by the end of February and at the beginning of March we had 17c temperatures and an early Spring. 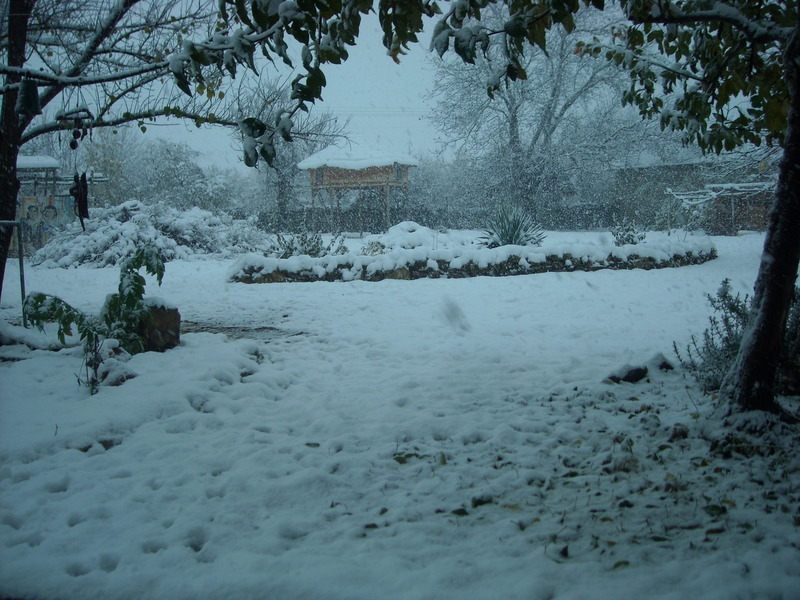 Heavy snow fell on 2 December 2012 and the cold weather continued through to early February 2013. Yet the temperatures were nothing like the previous year and the snow disappeared before the middle of the month. Once again we were able to eat lunch on the patio before March arrived. Warm, sunny weather continued throughout March with only the odd, cold day thrown in. The quantity of snow had been significantly less than usual which had repercussions later in the year. We experienced drought conditions in August and many crops failed in both fields and gardens. Some people’s wells ran dry which made it impossible to keep their vegetable gardens growing. 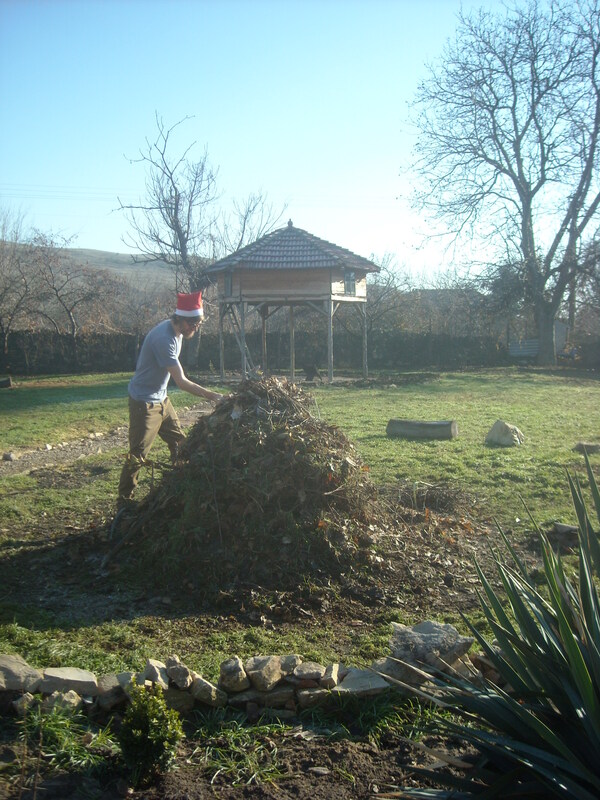 I am now in my fifth winter in Bulgaria. The snows arrived at the very beginning of December and everyone wondered if we were in for another harsh winter. But no, before Christmas that snow had melted and there was no white Christmas or New Year, a remarkable occurrence in Eastern Europe. 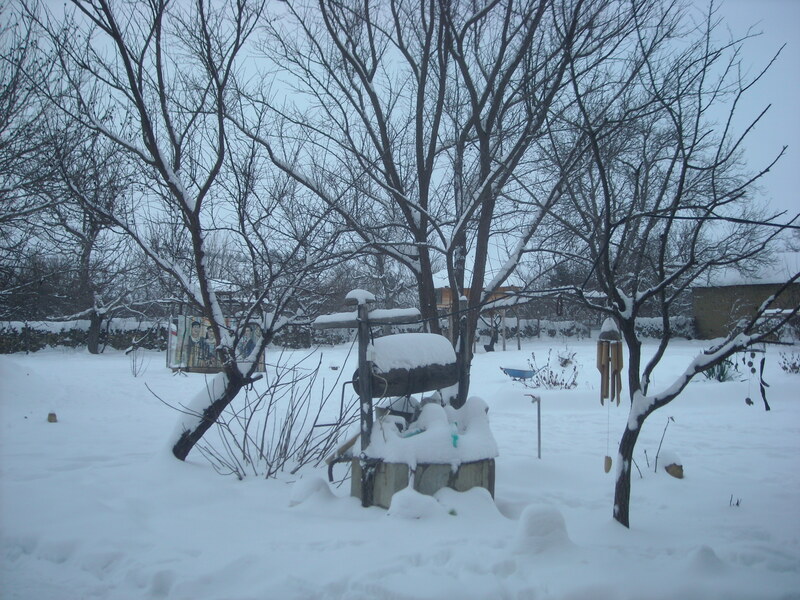 It snowed heavily on 15/16 January but temperatures never dropped below -10c on any night. During the first days of February temperatures began to rise and the white stuff was all gone six days later. We have enjoyed 18c plus for the past ten days with a top temperature of 25c yesterday, 17 February, during which we were working in the garden in t-shirts. We have not needed to light the stoves at all during the day and still have ample firewood in storage. Spring bulbs have pushed through the soil and buds are appearing on the trees. This is extreme weather. The warm sunshine is very pleasant but may prove to be catastrophic later. With insufficient winter snows to thaw, the water table has fallen. Meanwhile, Bulgarian television has forecast that the coming summer will be the hottest on record. We had drought late last summer but the reservoirs are already low and since 12 February our water has been rationed. We are only receiving tap water on alternate days and having to plan laundries and showers accordingly. It is February. What will happen later in the year, especially during July and August when temperatures frequently exceed 38c? At the present time Scotland is very cold, England is flooded, whilst here in Bulgaria, we have a water shortage and temperatures higher than the average Scottish summer. This weather is abnormal. It is also deeply worrying for a country where so many people rely on their own, home-grown produce.